Casey Michelle Neeley of Stems & Sweets LLC participated in a “Hello 30” shoot. I’m currently running a photography promotion to celebrate those who are turning 30 this year. My own 30th birthday is around the corner (in 7 days!!!) It’s been amazing to meet others making this transition. I’m very interested in their goals and what they are looking forward to the most. 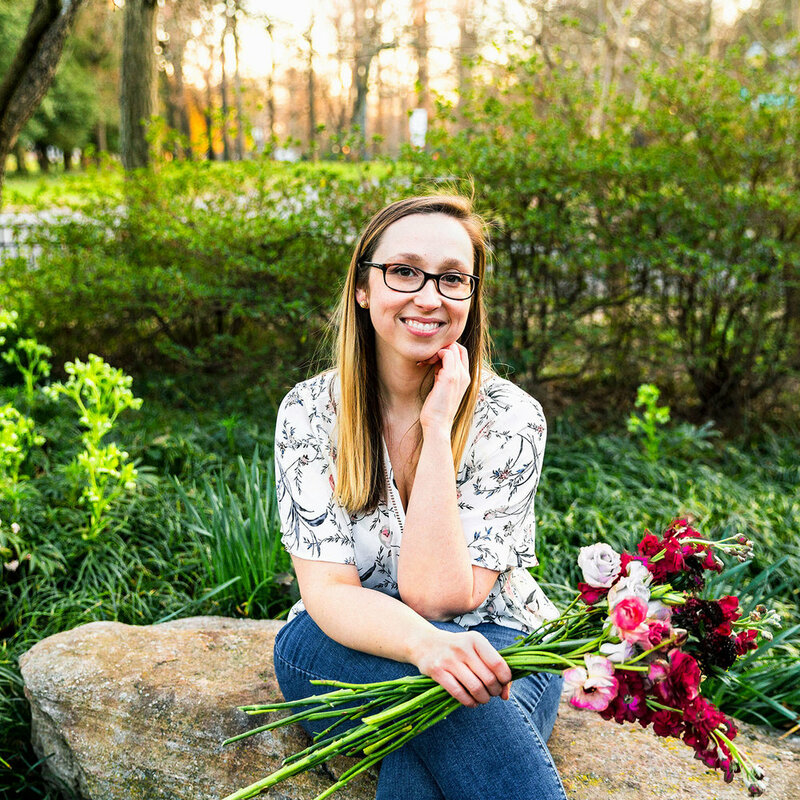 Casey has followed her passion and recently opened, Stems & Sweets in Richmond, VA. 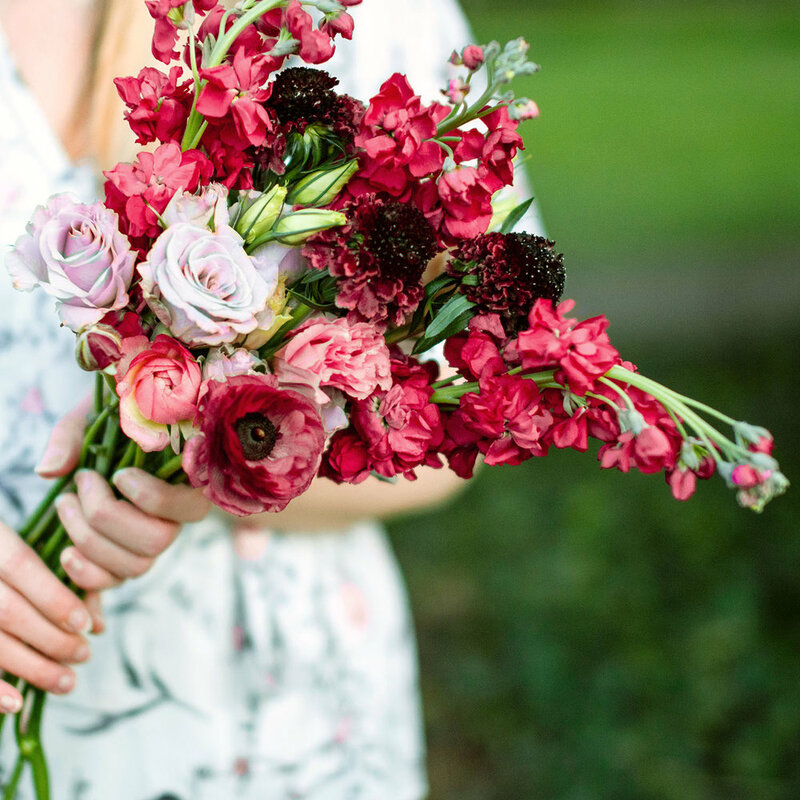 Her wedding floral design company specializes in creating custom, garden-style arrangements. I thought it would be fun to photograph her in action. 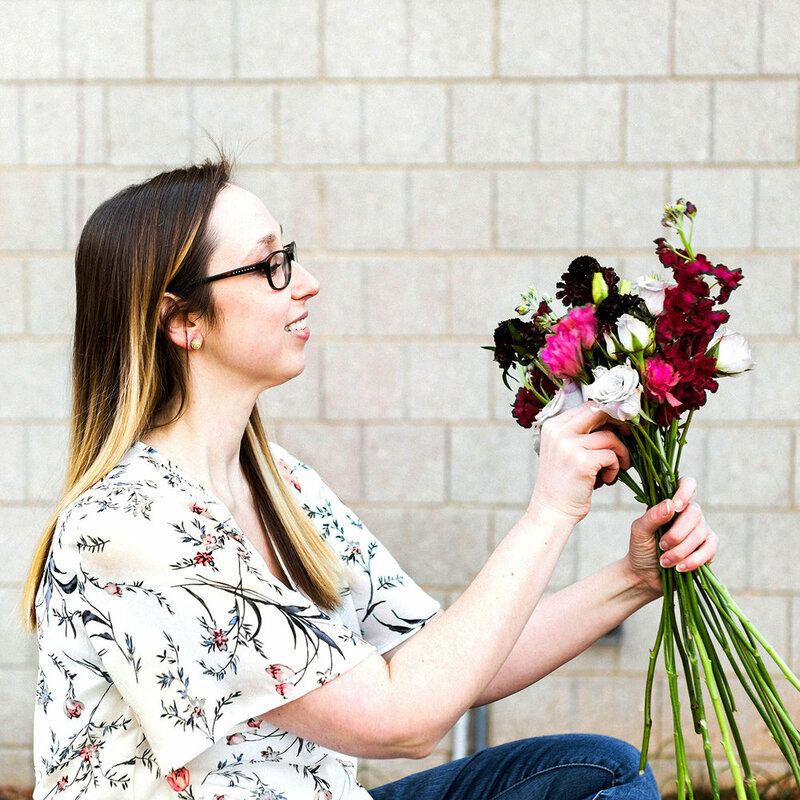 She brought a bounty of beautiful flowers to our portrait session. It was fascinating to watch Casey assembling a bouquet of flowers. I witnessed her loving approach and careful attention to details. She also blew me away with her vast botanical knowledge. I started a new wedding floral business recently and I can’t wait to see where it will be a year from now. I’ve spent so much of my life analyzing every potential path and pitfall and talking myself out of following “the dream” and just doing the most practical option instead. Not with this business. I knew if I looked into it too much I’d get psyched out and never follow through so I just took the leap and I’m finding my footing as I go. I’ve realized over the past few years that it’s much more important to say yes and just try than it is to feel like you’re prepared (because you never really are). I also coach, teach and perform improv. One of the biggest takeaways I have from it is the idea to “follow your feet.” In those moments when your gut and body seem to propel you forward, go. That’s instinct telling you to go and do. Thinking makes us hesitate and stops us from making those big, bold choices that often result in the most fun. My gut and instincts told me this was the big, bold, fun choice for my life, so I followed it. I’m most looking forward to seeing where I can push myself to go next. The past 29 years have just been me working up the courage to do all of the things I was afraid to do. Now that I know there’s nothing to be afraid of, I just feel ready to start taking those big leaps.